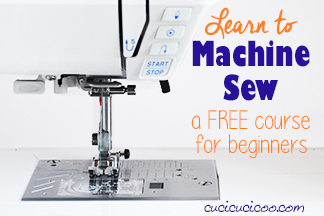 Earlier this week, as part of the Learn to Machine Sew series, I taught how to sew a casing for an elastic waistband, and also how to calculate the seam allowance for the casing and the elastic length. 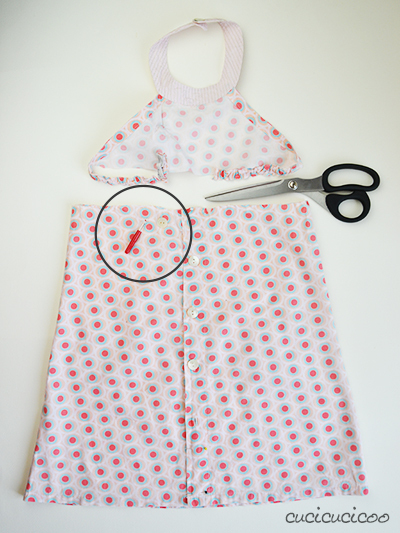 So for today’s practice tutorial, I’m going to show you one of the most common refashioning techniques: how to turn a dress into a skirt! 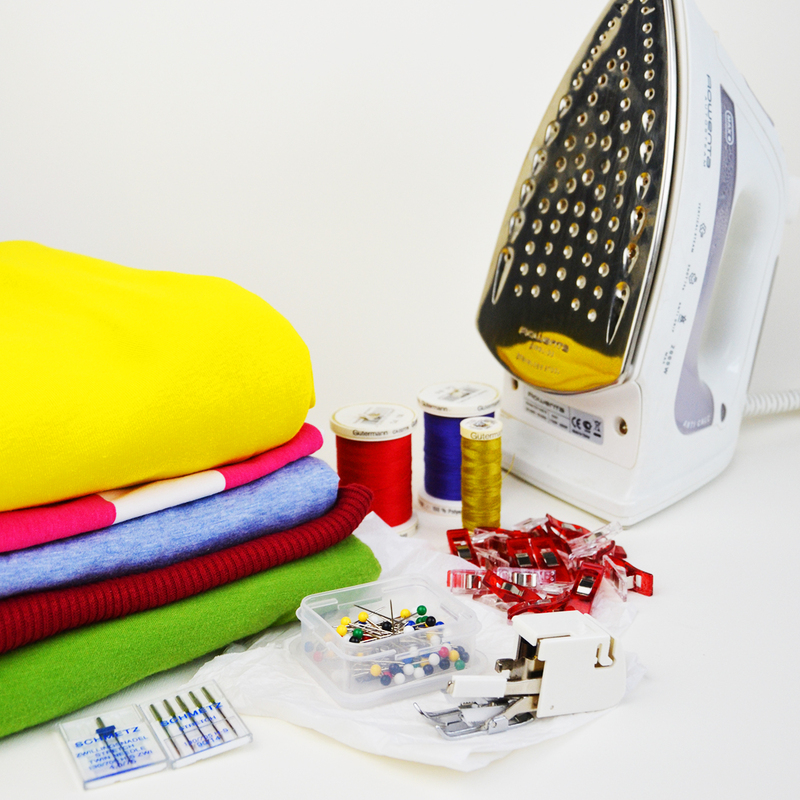 This is a really useful and easy refashion, even for beginners! If you’re a woman, or if you have a daughter, you most likely will have an ill-fitting dress somewhere in your closet. This dress was a hand-me-down and, while I love the fabric and the garment itself is pretty cute, it never really fit my daughter quite right. Now that it finally fits around her torso, it’s too short for her. So the easiest way to make this into a garment that she will actually wear was to refashion it into a skirt! She loves skirts and wore it as her first day of school skirt, as you can see above! (Hence the boring white t-shirt, which is her school’s warm weather uniform.) 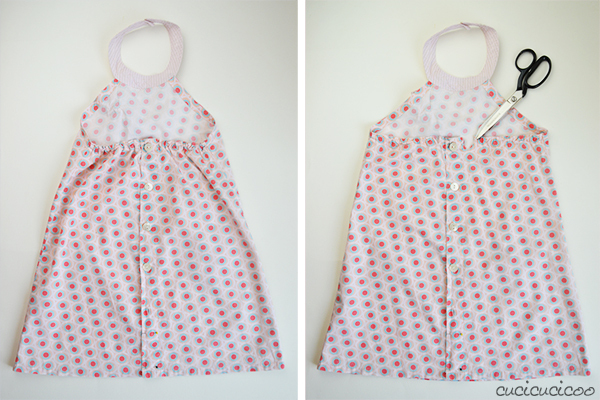 Do you have an old dress hanging around, too? 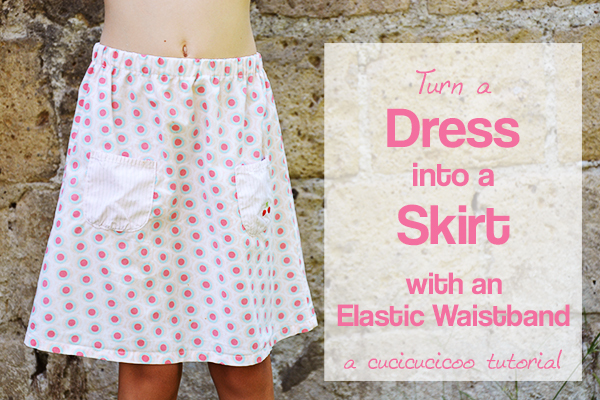 Well, then read on to find out how to turn a dress into a skirt the super easy way! 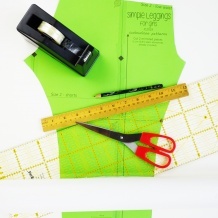 First, measure how long you want your skirt to be. 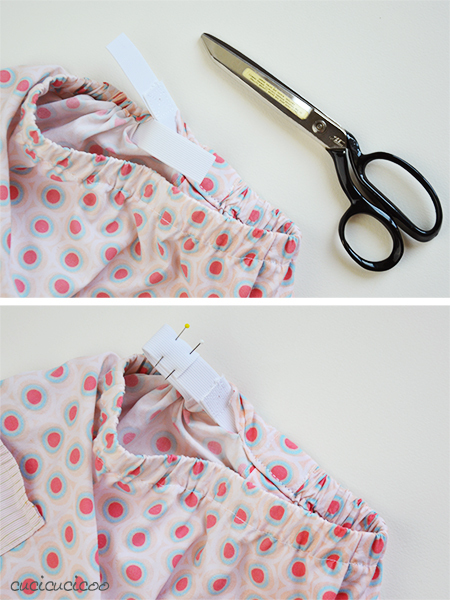 Calculate the length from your waist to where the skirt hem should fall, plus 1 3/8″ (3.5 cm). 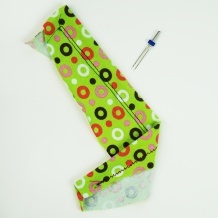 You need the extra length in order to sew the elastic casing for 3/4″ (2 cm) elastic. 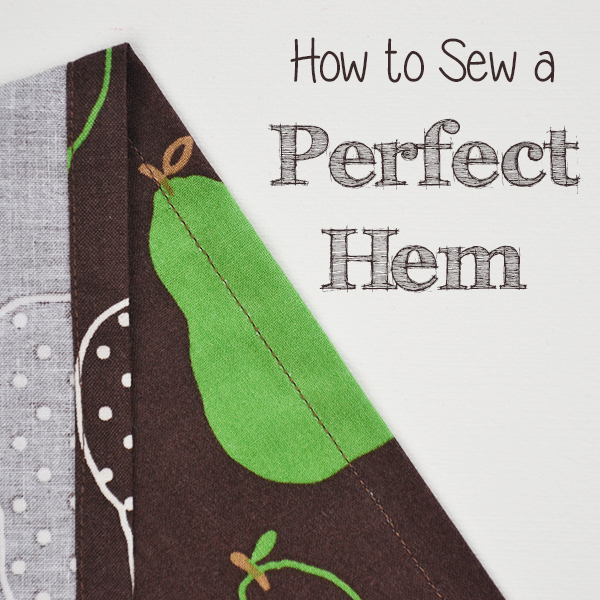 Next, line up the bottom hems. I laid my dress with the backside up because I wanted to cut as high up as possible. 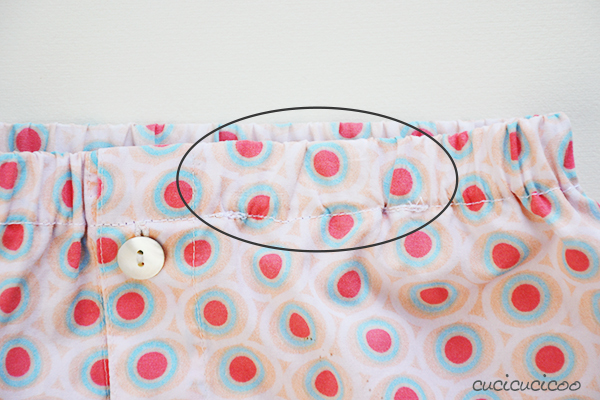 The elastic in the back of this dress made it hard to lay it out flat, so I made small cuts into the elastic on either side of the top button, thereby letting the casing ungather again. Now cut straight across at the height necessary for the skirt length desired. I had to remove the top button, otherwise I wouldn’t have been able to sew the casing. The bottom button had fallen off of the dress, so I just sewed it back on there. 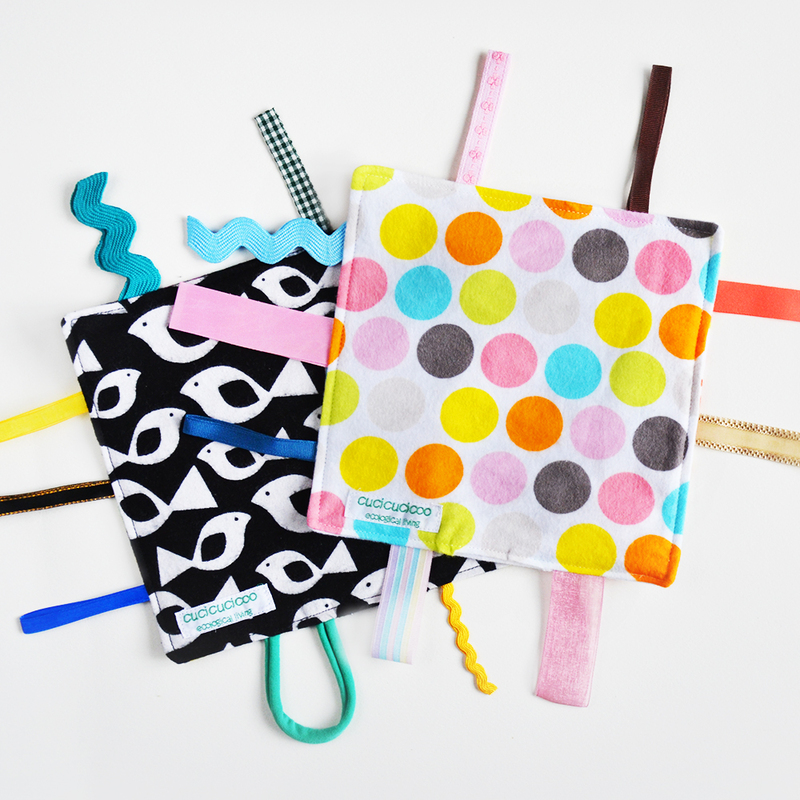 Now sew a casing and insert the elastic, as explained in the lesson on how to sew an elastic casing. If your model is available to try on the skirt, stop before sewing the casing opening closed and let her try it on. 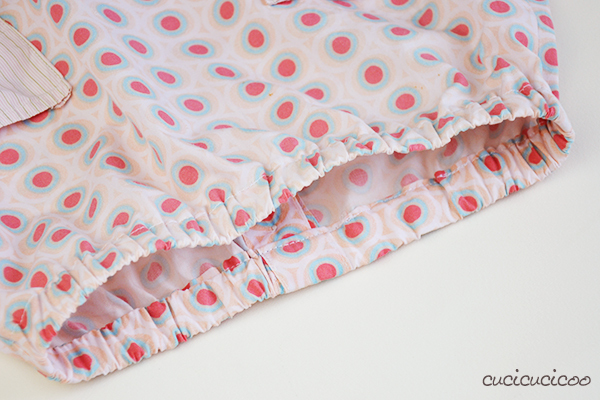 If the waist fits snugly, but comfortably, sew the opening closed, and you’re done! If the waist is too wide, pull the elastic back out, make a cut into it (top) and overlap the ends and sew them together again (bottom). If the waist is too tight, it’s slightly more complicated. 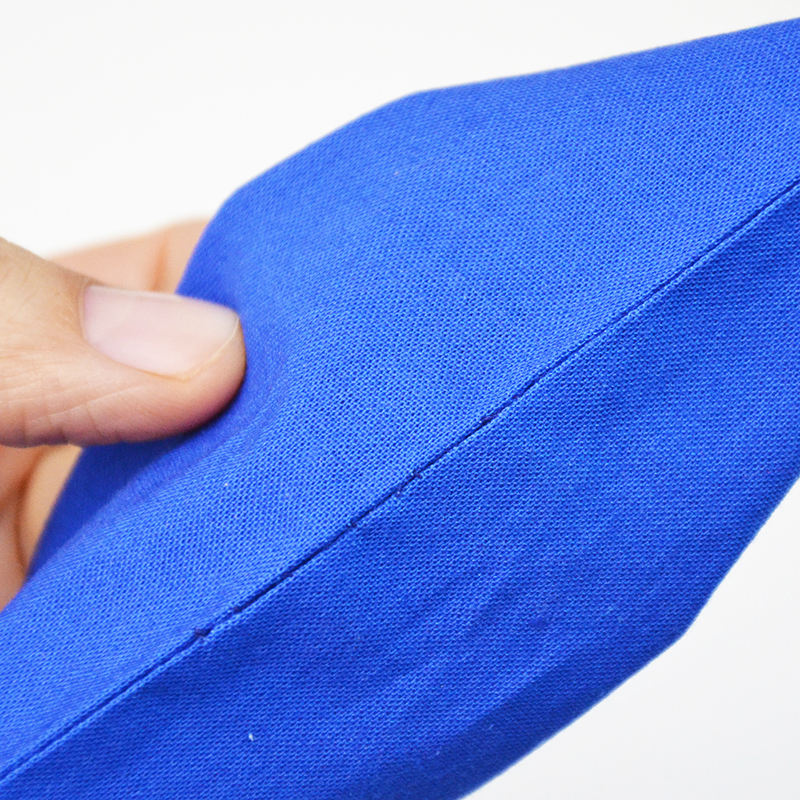 Make a cut into the elastic, and join another short piece of elastic to both ends. It’s better not to sew elastic together too much because the sewn area is not stretchy, meaning you’ll end up with parts of the waistband which don’t gather the fabric. Close up the opening in the casing, rearrange your gathers, and you’re done! 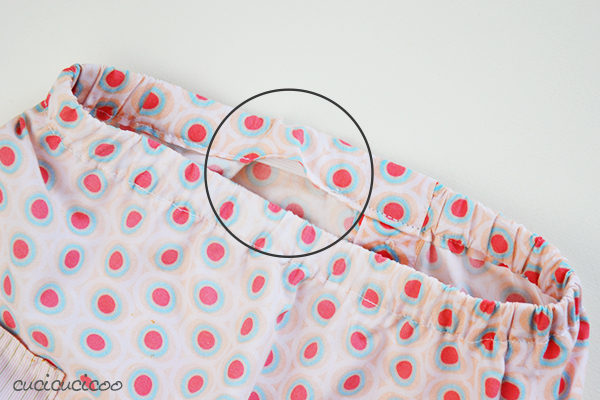 In the picture above, you can see where the two points of joined elastic are, where the fabric is less gathered. But it’s in the back and isn’t as noticeable when worn. And there we have it! Minimal effort, zero cost, and a “new” little skirt! Now go put it on and do some happy twirling! 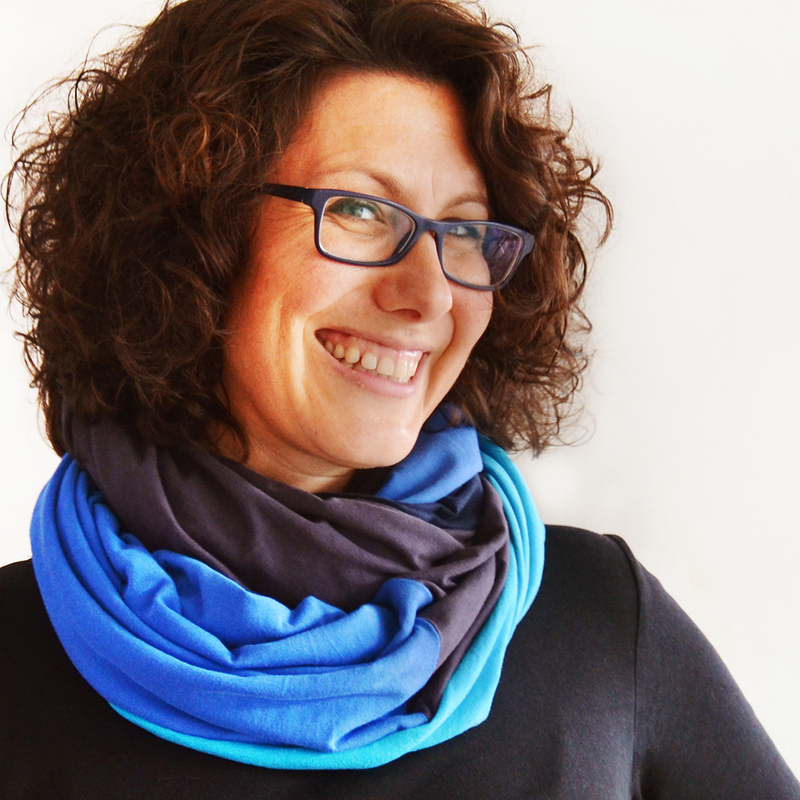 Totally unrelated, as I write this I am on a train headed to Bolzano, where I will be holding sewing and refashioning workshops at the Kreativ fair. If you will be in the area between Friday, September 18 and Sunday, September 20, come stop by! 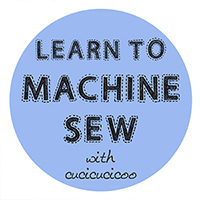 This tutorial on how to sew a skirt from a dress is part of the syllabus of Cucicucicoo’s beginner’s sewing course! 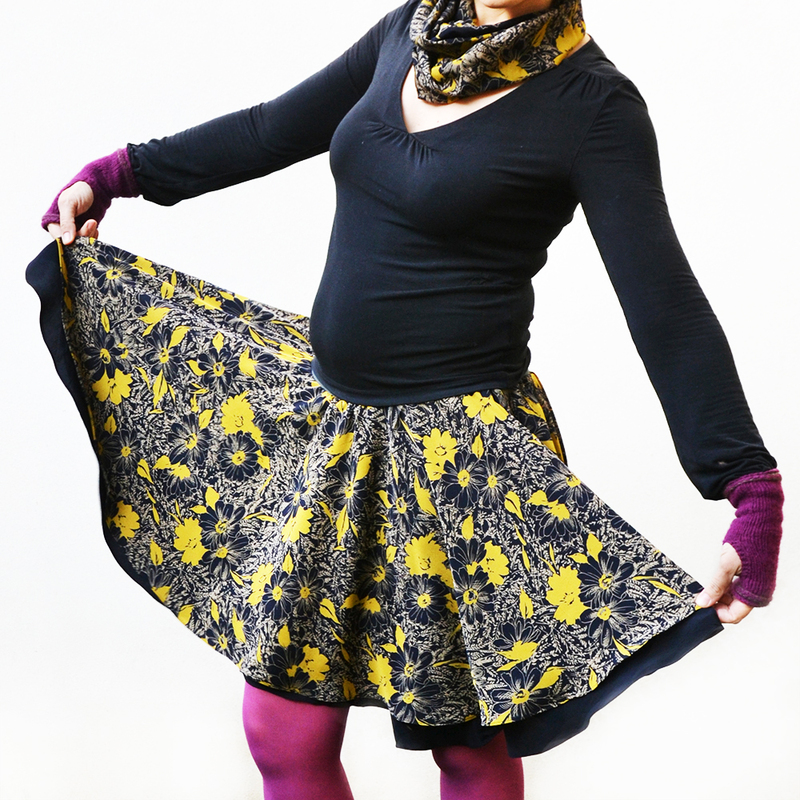 Don’t forget to share pictures of your skirts on the Cucicucicoo Creations Flickr Group or the Cucicucicoo Facebook page! 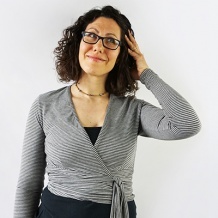 Un ottima trasformazione… Adoro dare nuova vita a capi che ormai sarebbero da mandare in pensione!! 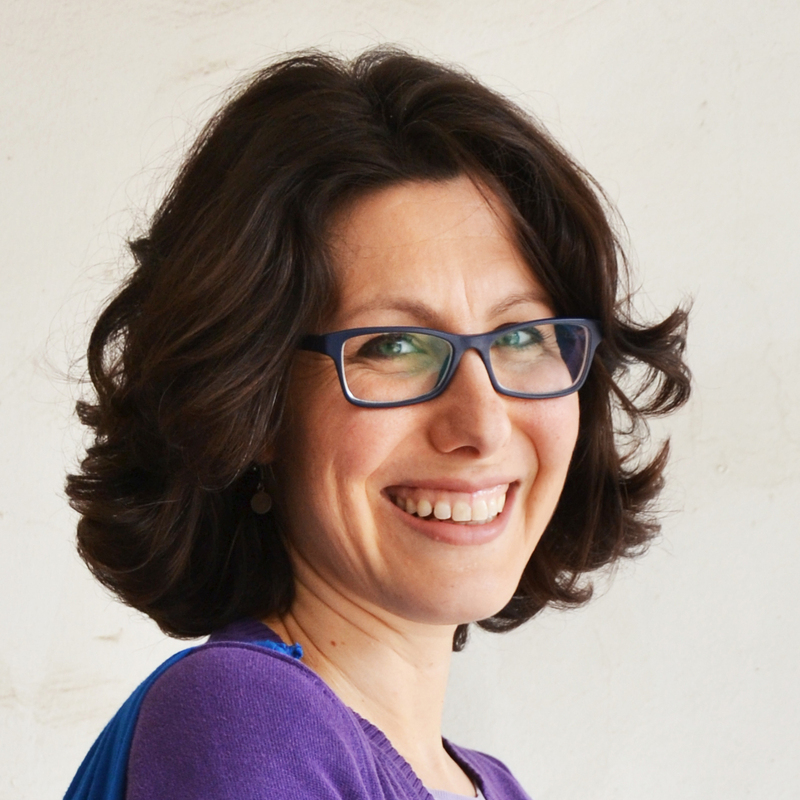 Infatti, Sara, è una bellissima sensazione di poter recuperare qualcosa che non veniva proprio usato! Perciò il refashioning mi da tante soddisfazioni!